The smash-hit Minimates series continues with more detailed mini-figures based on Robert Kirkman's popular comic book, The Walking Dead. 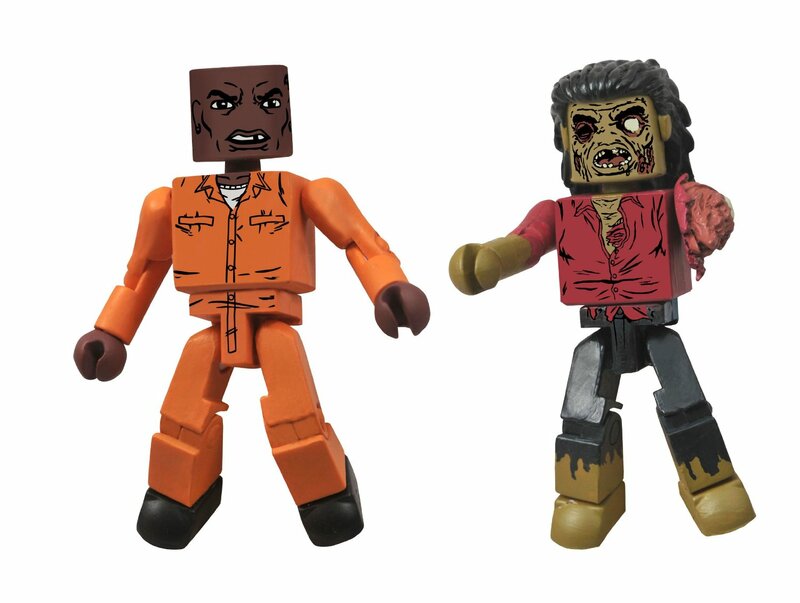 The new assortment of two-packs is all about the famous prison story arc, with Riot Gear Rick & Guard Zombie, Dexter & Dreadlock Zombie, Hershel & Farmer Zombie and a rare variant Battle-Damaged Tyreese & Farmer Zombie. Each Minimate stands 2 Inch tall with 14 points of articulation and a variety of removable and interchangeable parts and accessories.